In September, 2016 a week-long visit was made to PNG to assess the development of their CT surgery growth and development. 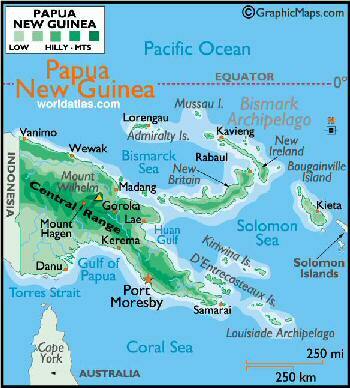 CT surgery in Papua New Guinea (PNG) has developed slowly over the past 20 years. This has been reviewed nicely by Dr Noah Tapaua, the chief of CT surgery at Port Moresby General Hospital. (See attached below). With a long-standing relationship with the NGO Open Heart International www.ohi.org.au from Australia to develop the pediatric cardiac surgery program in Papua New Guinea (PNG), the program will become self-sufficient over the next 2 years. Russell Lee, the director of Open Heart International will continue to monitor and assist the program. Dr Noah Tapaua, the chief of cardiac surgery will continue to head the program. Frontier Lifeline Cardiovascular Center in Chennai, India has continued to assist the program with hands on training of members of the cardiac surgery team. See the attached paper that gives an in depth report. Europeans first arrived in Papua New Guinea in the 16th century, and it was subsequently settled in the 19th century by both the Germans and British. Long governed by Australia in modern times, it finally gained its full independence in 1975. Papua New Guinea includes the eastern half of the island of New Guinea, the islands of the Bismarck Archipelago, and the island of Bougainville, itself still (politically) part of the Solomon Islands. The central core of the main island is mountainous with deep, green valleys dotted with mysterious and remote villages. There are still no significant cross-country roads from the capital city, and most vital transportation depends on small aircraft and the over 400 isolated airports. Much of the inland population lives in primitive conditions and there are over 700 different languages spoken among the various native tribes. coastal lowlands and rolling foothills.